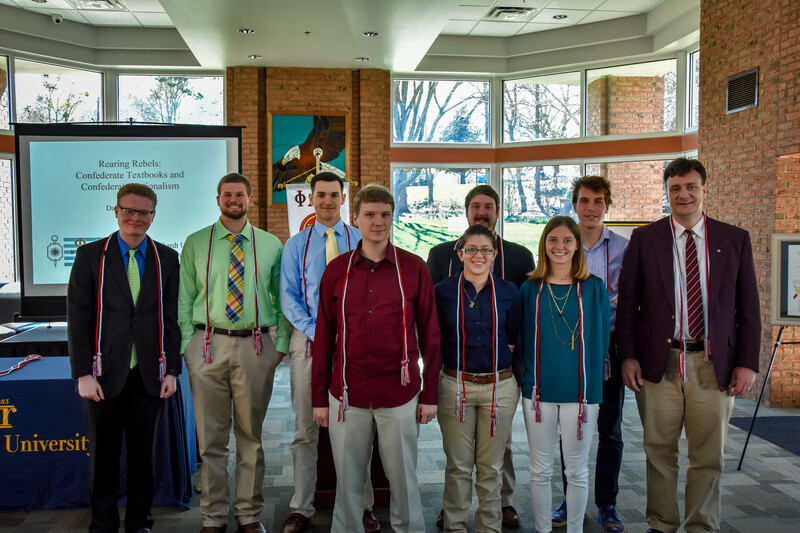 The History Program is pleased to announce that nine new members of the Reinhardt chapter of Phi Alpha Theta were inducted yesterday in the Glass House. They are in the photograph below, wearing their new honor cords, blood red and sky blue, the colors of PAT. Left to right: Cole Gregory, Joseph Wheeler, Max Smith, Kyle Walker, Melissa Martinez, Grant Patrick, Katie Hale, Brent Blackwell, Faculty Advisor Jonathan Good. Photo: Jeff Reed. Not pictured: Chase Palmer. Prof. David Parker. 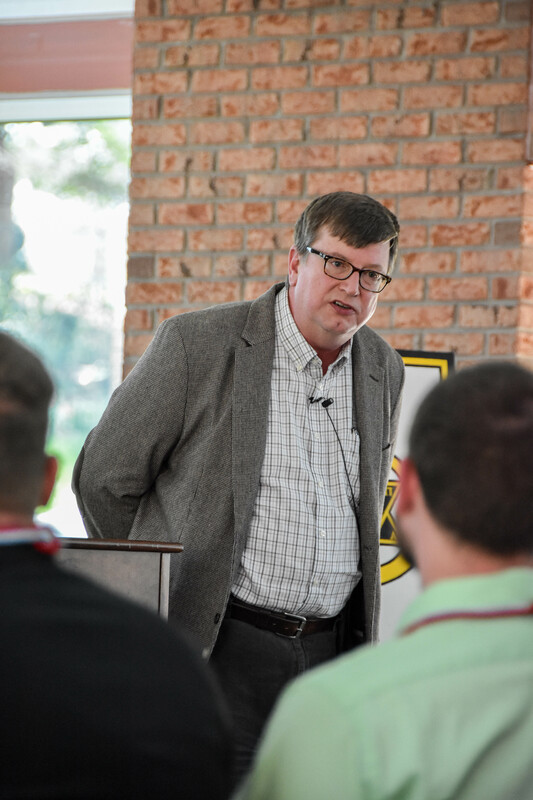 Photo: Jeff Reed. Prof. Parker has researched school textbooks published and used in the Confederate States of America, and furnished us with some amusing examples of math problems (such as “if one Confederate soldier can kill seven Yankees, how many Yankees can nine Confederate soldiers kill?”) along with other embarrassing moral lessons about the benefits of slavery. But he warned us about arrogance: what things do we believe that might look ridiculous to our posterity? This entry was posted in Confederacy, History, Phi Alpha Theta, Reinhardt Students by jgood. Bookmark the permalink.